I think it’s interesting how many people I meet in Berlin, expats in general, who somehow feel more connected to their home countries since living in Germany. 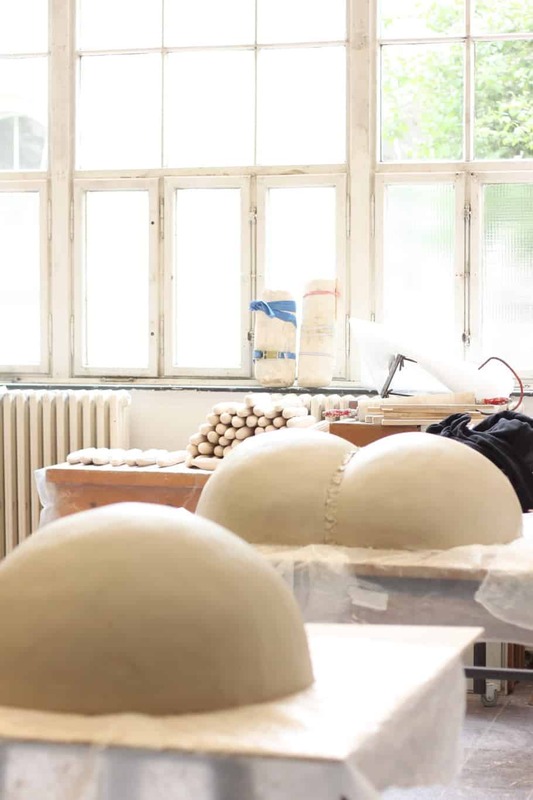 “Being here made me go back there, do you know what I mean?”, Colombian artist Tomas Espinosa (who will be participating in the Berlin Food Art Week and reason for our meeting) confessed to me his need for searching deeper for his roots while living here in Berlin. Tomas has been in Berlin for seven years now, finishing his last semester at UDK. He went on to give me a bit of an overview on how he came to the city, and how his moving deeply influenced his work and his way of thinking about art, not only here but in Latin America too. “In the beginning it was all about learning this ‘way of learning’. I think it’s interesting to make a comparison between how you learn art in Latin America and how do you learn it here. “There are differences in the academy… technical differences. Here, for example, the university has many studios. You, as a student, have a proper place to work. You have the possibility to build big things, to have a team that supports you. “And in Latin America we lack this infra-structure. We don’t have space for all students to work, we are limited when it comes to tools, because you end up working in your room or in the garage, and then you need to transport your pieces, so it becomes a very complex process. ”I also think in Latin America we have a strong theoretical background, what for me was surprising was how we could be at the same level from the students here when it comes to the readings, authors, philosophers and so on. It’s nice but, at the same time, a little bit sad, because then we know a lot about European Art but we don’t really know a lot of what has happened in Latin America. Tomas Espinosa work and forms. 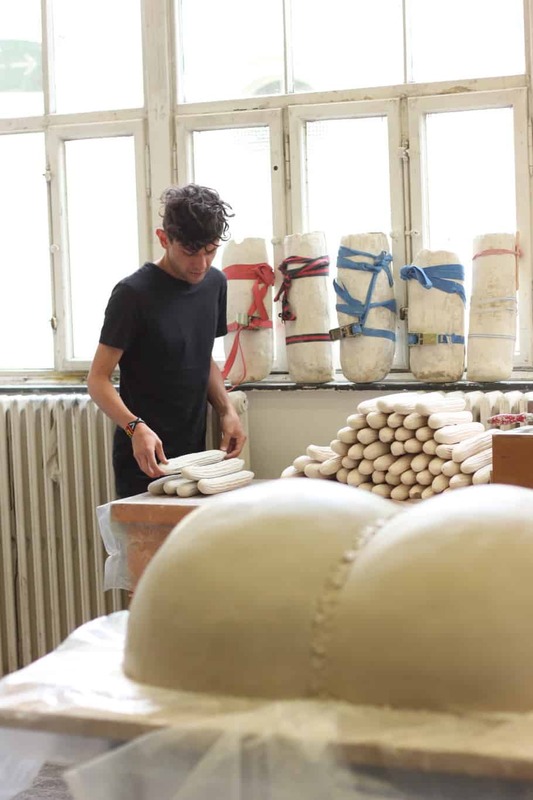 Tomas usually works with ceramics, also something that comes from his childhood years when he used to spend lots of time at his uncle’s ceramic atelier, but a craft he only started to practice here at UDK. He explained that he actually likes to play with the duality of the objects, producing pieces not only meant to be seen, but for touching, handling and actually puzzling people to a certain degree – an attribute present in all his works, since he was a graphic artist in Colombia. “I was always interested in topics like sexuality or other taboos in Colombia, mainly working with photography, but always doing some ceramics in parallel. 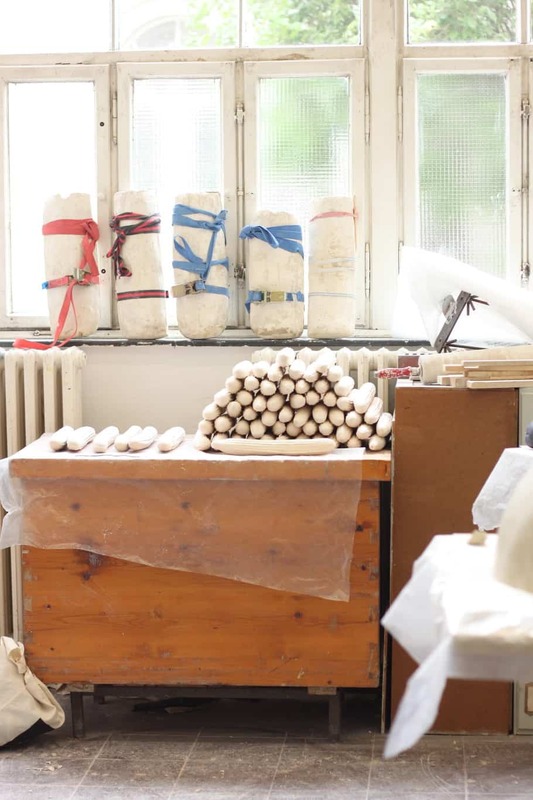 But here, when I saw all the ceramic studio, the first thing I did was to enroll. 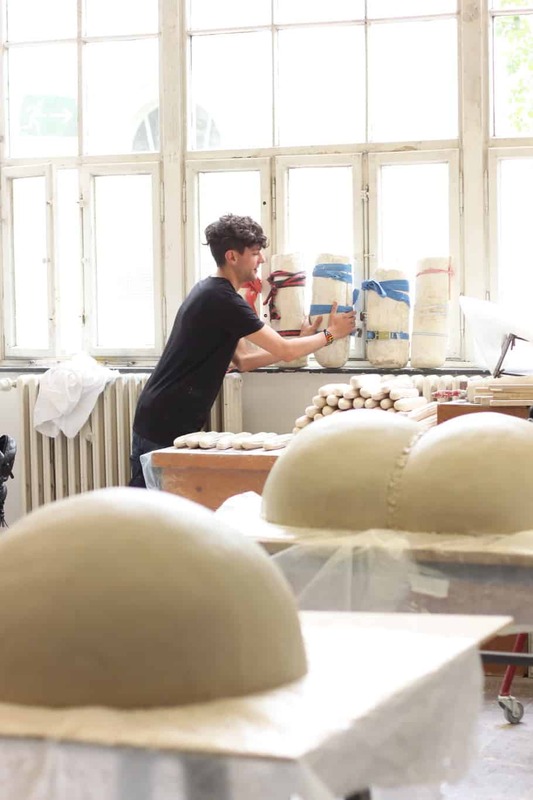 Tomas started his research with food and its different forms and shapes, from his wish of having an ambiguity, an object that can make people ask themselves questions and activate reactions. “I started this work in China, where my class was invited to make an exhibition. At this time I was already making the cucumbers, because I like the ambiguity of their form and shape. And, around the gallery we were doing the exhibition, there was a huge street market, so I decided to go to this market and set a little tent with my cucumbers, but not with the idea of selling, but for people to touch them and then share a bit time with one another, in a place where people only live to work – some of them can work up to 23 hours a day! Tomas also explained to me that this old concept of sculpture, the one made for lasting or to be a holy monument, is something the art world has been debating since the ’60s. And for Berlin Food Art Week, Tomas will set up an installation with his cucumbers, meant for the audience to do anything they want with it. “People will be able to do whatever they want with my objects. I find it quite of interesting. And about this obsession to keep the object forever, I feel there is no need for that. The political questioning and social awareness side of his work, Tomas inherited from his Colombian years. “In Colombia, art is more political. It’s the only medium where you can actually say what you want without having problems. In the art scene, to express your ideas is kind of tolerated, but when you are a professor, journalist or student… maybe it’s not the best idea to say what you really think. Tomas Espinosa’s work will be at Entretempo Kitchen Gallery on the 19th of June. For the complete program of Berlin Food Art Week click here.